PEi pod has created a fun colorful cat/dog house with bed that comes in fun egg shape with a yolk yellow cushion. Varying in colors pEi Pod is a comfy and fun way to give your pet some space to rest and sleep and hide. 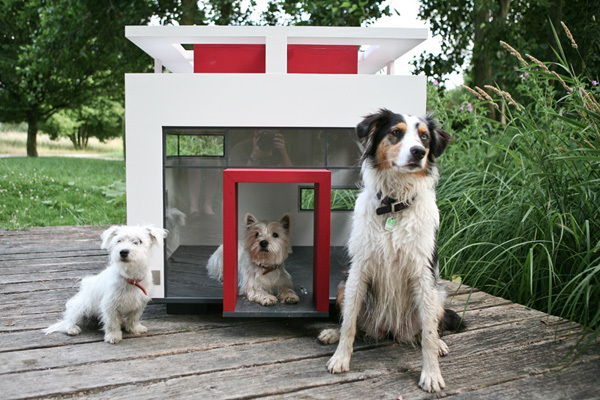 Traditional dog house will unlikely draw as much attention as this ultra-modern dog mansion by Best Friend’s Home. 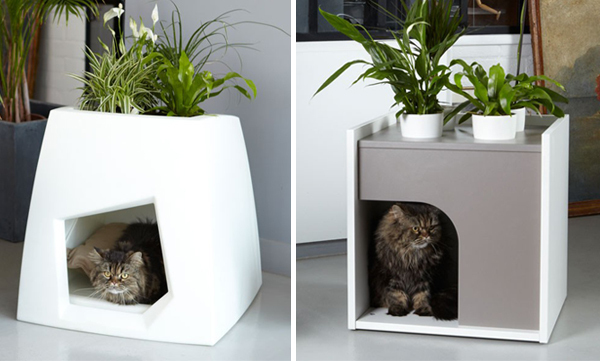 Its geometric forms, transparent front wall and roof drain system make it a downsized modern house for your pet. 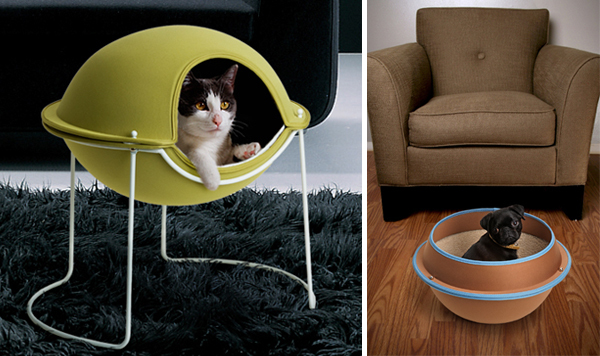 Hepper by Jed Crystal Studio is a futuristic take on elevated pet house. Look ready to take off to space this stylish eye-drawing cat or dog retreat comes in various color to match your interior. It also comes in a floor version. 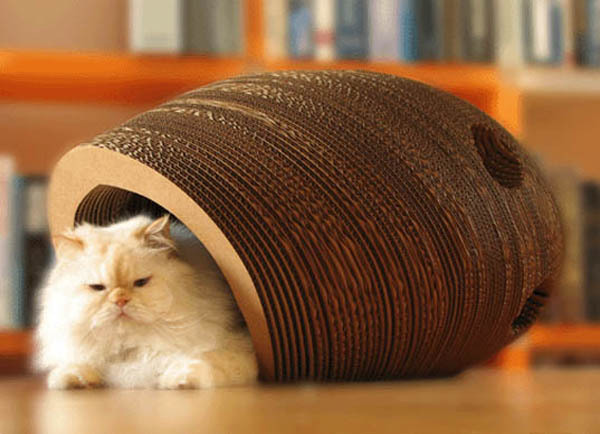 Cat cocoon by One Form Design is a cool sculptural cat house that has a nice surface for scratching. 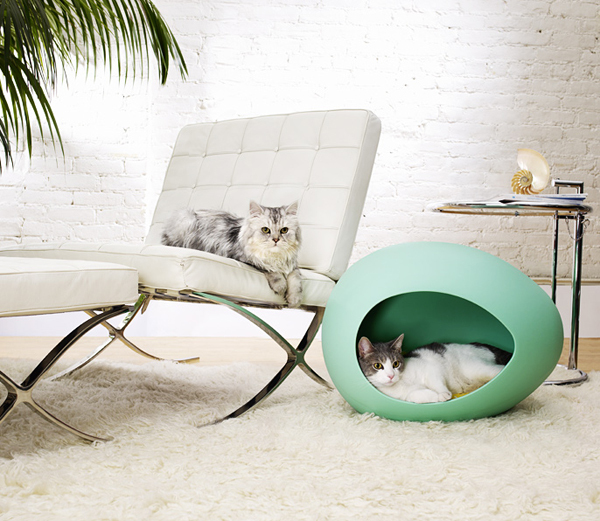 Designed as a snail shell the cat cocoon provides personal space for the pet as well as easily solves the problem of scratching. If you wanted to go green Kokon Kennel by Pousse Creative is a way. It’s a cat or dog house topped with a planter. The design is simple but interesting with geometric entrance. Just be sure to plant animal-safe plants.You can also grow special grass for your kitty in these plant pots. Giona Aquarium by Alessandra Baldereschi has a cool whale shape. 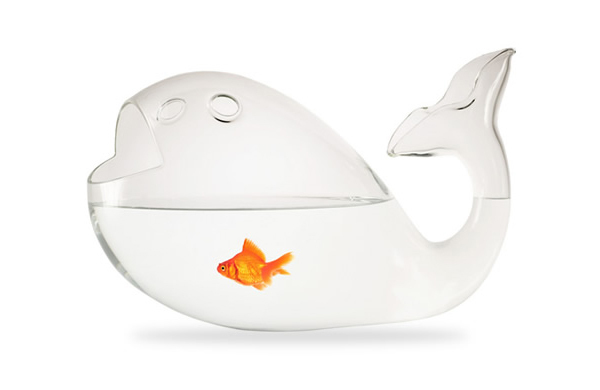 The aquarium reinterprets the classic sphere bowl adding an element of fun and surprise. 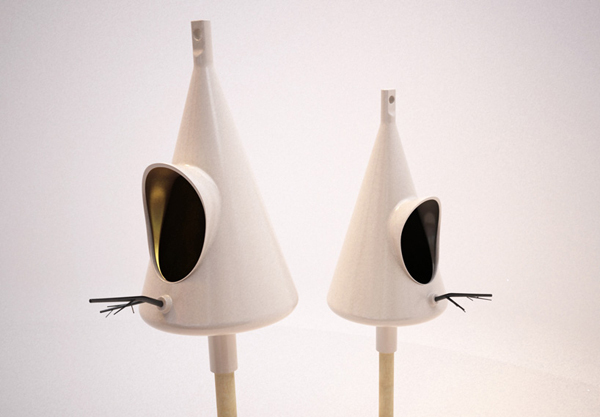 This cool APA birdhouse was designed by designer Luis Porem. A nice cone-shape birdhouse has an entrance with an overhang and a branch perch. I niet eens weten hoe ik hier terechtgekomen, maar ik dacht dat dit bericht is groot. wat begeleiding van een gevestigde blog. Is het stoere om het opzetten van uw eigen blog? Ik ben niet erg techincal maar ik kan dingen uitzoeken behoorlijk snel . ik ben niet zeker waar te beginnen beginnen. Heeft u ideeën of suggesties?